Bayco Products has announced the introduction of 2 new Nightstick all-LED multi-function small and compact tactical (6.7 inch) dual-light flashlights in models NSP-9842XL and NSR-9844XL. 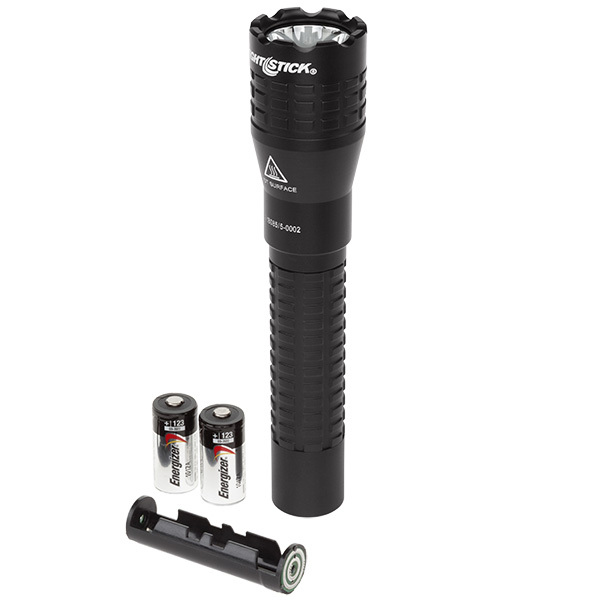 First previewed at SHOT Show 2016 in Las Vegas, model NSP-9842XL (average retail starting at $59.95) uses 2 included CR-123 batteries to produce up to 650 lumens in a variety of forward directional user selectable flashlight modes including high, medium, low or disorienting strobe. 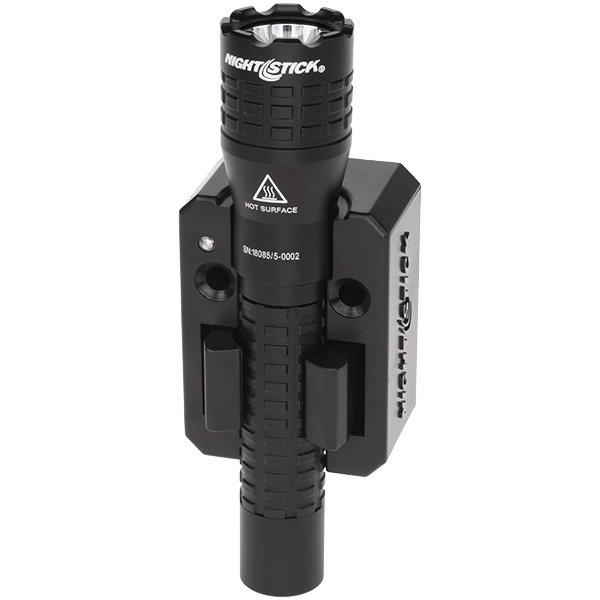 Now exclusively offered by Nightstick is the integration of a secondary unfocused floodlight LED compactly placed into an aircraft-grade 6061-T6 aluminum tactical housing that operates a 200 lumens downward facing floodlight. 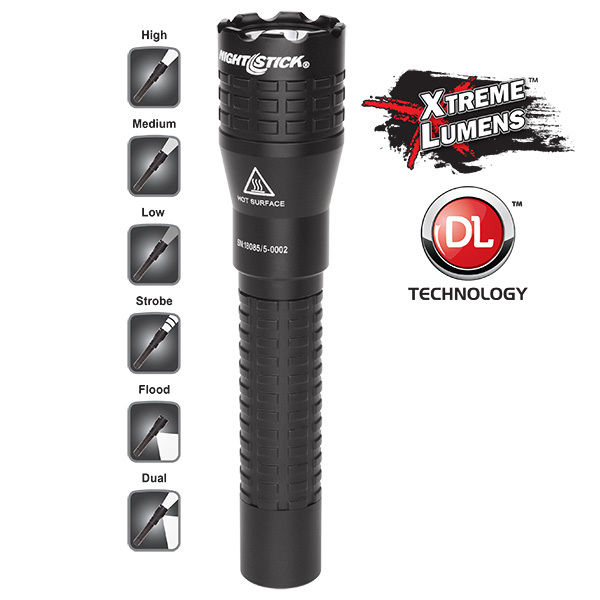 Both LEDs when operated simultaneously produce 400 lumens in exclusive dual-light mode. At only 8 ounces, the equally powerful rechargeable model NSR-9844XL (average retail starting at $99.95) comes loaded with a rechargeable lithium-ion battery, wall/vehicle mountable charger, back-up CR-123 battery carrier, AC power supply and 12 V DC power supply. 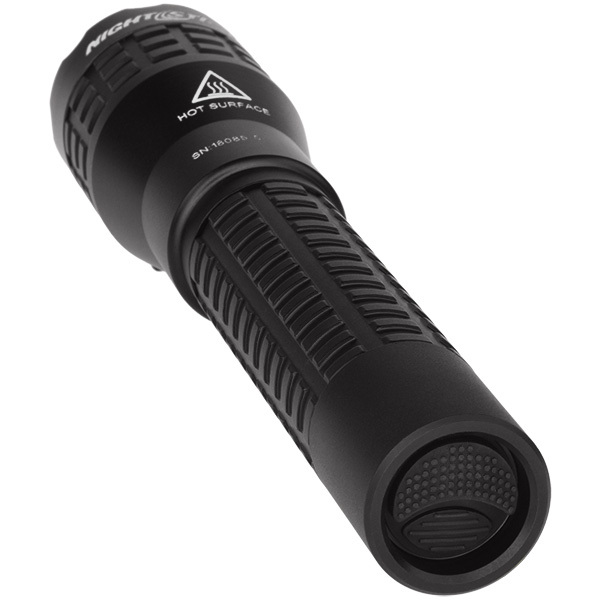 Ideal for law enforcement and the military, Nightstick’s use of a secondary LED light without a reflector or directed lens creates a floodlight pattern of light used for viewing of objects in a user’s direct proximity. Rated at IP-X7 waterproof with a beam distance of 280 meters (918+ feet), these tactical dual-lights are serialized for personal identification and backed-up with Bayco Products limited lifetime warranty. A unique tail-switch design splits operation of the flashlight from the floodlight to ensure the user the proper light is used in every situation. Complementing Nightstick’s already popular assortment of 9.5 inch Duty/Personal-size Dual-Light Flashlights, the reduced length of a mere 6.7 inches in a 6061-T6 aircraft-grade aluminum power plant is set to reinvent how law enforcement, the military and flashlight aficionados world-wide interact when illuminating objects up-close. To learn more, please visit http://www.mynightstick.com. 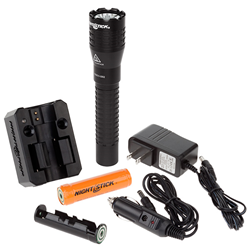 Designed and manufactured by Bayco Products, Inc., Nightstick is a global brand of professional lighting products, including flashlights, headlamps and Intrinsically Safe lighting solutions that continue to exceed industry standards in performance, quality, user-safety, and value. Nightstick’s vast line-up of LED lighting products deliver optimal performance with real-world applications in mind. With an unwavering commitment to product quality and exceptional Customer Service, Nightstick is the professional’s only choice for Tough, Durable, AffordableTM lighting. Since 1984, Bayco Products’ vast array of portable and corded lighting products, have been the preferred choice of professionals and discriminating consumers. In its 110,000 square foot facility, located in the Dallas, TX area, Bayco’s dedicated engineering team continually seeks out innovative new product solutions that provide exceptional day-to-day utility and help maximize user safety. The Nightstick and Bayco brands are established and recognized world-wide as high-performance, high-quality, and high-value lighting solutions across virtually every industry.